Fooprise in Malad is one of the cutest cafes we’ve seen that doles out delicious paranthas. With a homely ambiance, Fooprise is run by two girls who promise you a lot of fun and an amazing time. 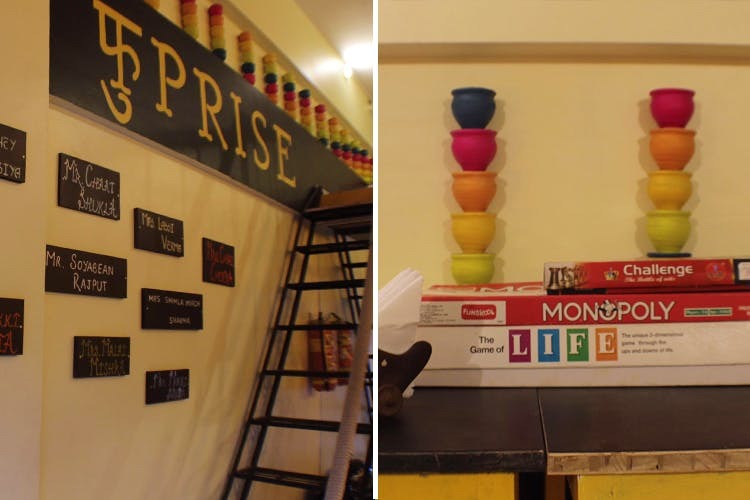 Games, good music, and plenty of good food is a given at Fooprise, and we think the perfect time to go here is during the evening. This almost 15-seater cafe, which definitely boasts of super cute interiors and excellent customer service, produces delicious varieties of paranthas that are our favourite, and the cheese and jalapeno parantha in particular. And the soothing music that plays along sets the mood just right. Next time you happen to be in Malad, do go to Fooprise for quick snacks and a good time.